Hard Rock Hotel & Casino in Las Vegas will close doors for four months during its renovation and transformation into Virgin Hotel Las Vegas, the Las Vegas Review-Journal reported. The property was purchased this past spring by Virgin Hotels, the hospitality brand of British business mogul Richard Branson. It has emerged that the rebrand and relaunch of Hard Rock Hotel will take place in the first half of 2020. Renovation work at the property is slated to begin in the late summer/early fall of 2019, sources claim. It is also believed that Virgin will pour $50 million into the hotel’s transformation. Hard Rock Hotel opened doors in 1995 on the corner of Paradise Road and Harmon, near the Las Vegas Strip. The property features more than 1,500 hotel rooms, a casino, the popular The Joint music venue, and a number of other entertainment and food and beverage facilities. Mr. Branson said earlier this year that part of the rock memorabilia adorning practically every corner of the complex would be replaced as part of the planned remodeling. Another thing that will go with the transformation of the property would be the guitar sign above the main entrance. It will be replaced by a giant V, which Mr. Branson hopes would “take over”. Renovation at the property is expected to last eight months. It will be carried out in phases and one of those will involve its closure for a period of four months. Officials said that all hotel rooms and towers will be renovated. The property will also feature more restaurants, an ultra lounge, and expanded conference and event space. The Joint music venue will be upgraded and the five-acre pool deck at the complex will be reinvented. Mr. Branson said earlier this year that the property will keep its casino and the facility will be operated by a gaming partner. 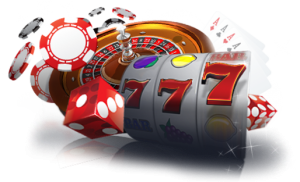 It has recently became known that the renovation will include a new, expanded casino floor. It is yet to be announced who will operate the gaming portion. JC Hospitality, which has partnered with Virgin for the acquisition and operation of Hard Rock Hotel, began informing employees at the off-Strip resort about its changeover strategy on Wednesday. Staffers were encouraged to stay with the property’s new owner with the “I’ll Stick Around And Come Back” program. The program will compensate all employees whose lives would be disrupted due to the pending closure of Hard Rock Hotel and would allow them to return when the complex resumes operation. They will not have to reapply for their jobs. Hard Rock Hotel currently employs around 2,000 people. Mr. Branson has had some extremely eccentric appearances in Las Vegas, including that one time when he rode a jet ski in the Bellagio fountains pool to celebrate the 10th anniversary of his airline Virgin Atlantic Airways, which, among other destinations, provides a stream of tourists into the gaming and entertainment mecca. Hard Rock Hotel’s new owner has promised an equally flashy opening party of what would be Virgin Hotel Las Vegas. JC Hospitality CEO Richard Bosworth has previously said that he hopes the Virgin flag will elevate the profile of Hard Rock Hotel and would help it draw travelers that come to Las Vegas not only to gamble but also to be part of the city’s vibrant entertainment scene.